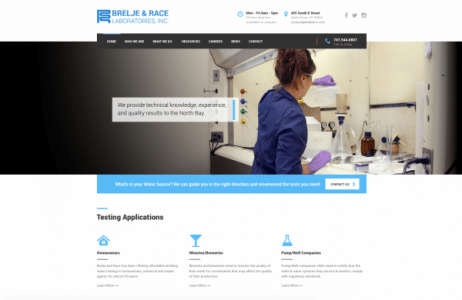 Brelje and Race Launches New Site - Brelje & Race Labs, Inc.
On Tuesday, April 19th, Brelje and Race proudly debuted their new website redesign for BRLabsInc.com. With the help of web development agency, The Design Group, the new redesign features expansive company and testing information and many bells and whistles we are proud to show off. We encourage you to explore the new site at your convenience!